Have you created a blog? Are you looking low price & best quality SEO optimize beautiful WordPress theme for your blog? That’s why we came today with HappyThemes Review. Well, Do you know? One of the significant challenges is to choose the best WordPress theme for a blog. There are many WordPress premium theme stores on the internet. But you have to select the right store from them for your desired purpose. By the way, you can also try to find your desired theme from Appthemes, Themeforest, Themify, and MyThemeShop. Those are the top-rated premium theme stores. And lastly, don’t forget to knock StudioPress Genesis Framework theme. When you find a theme from those stores, probably you will see the price which is remarkably higher than HappyThemes. So money is the main fact. But don’t worry, in this review blog post I will be describing a new stunning WordPress free and premium themes store named HappyThemes. HappyThemes is a new stunning WordPress themes store. It has a dedicated global team. They started Web design & development in 2005. That means they have almost 12 years experience in web design. After four years, they began development WordPress theme and plugin. Now they have eight years experience in WordPress theme and plugin development. A passionate team runs HappyThemes. The team is highly experienced in theme and plugin development. The HappyThemes team has previously worked in with many Themeforest expert authors who are designing and developing top quality WordPress themes and plugins. One day the team decides to implement their all experience and knowledge to run their theme shop and launched HappyThemes. You know HappyThemes is a new WordPress premium and free themes store which started earlier in February 2017. That’s why it has only nine themes till now. Two themes are Free and 7 themes are premium. 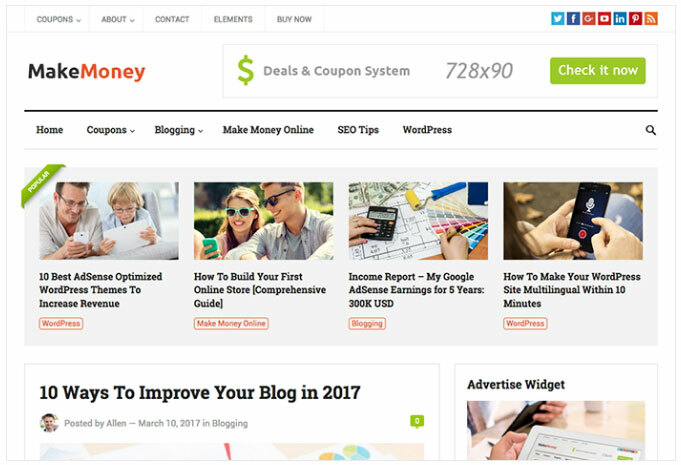 MakeMoney theme is a WordPress blog theme which is perfect for any lovely blogger and affiliate marketer. 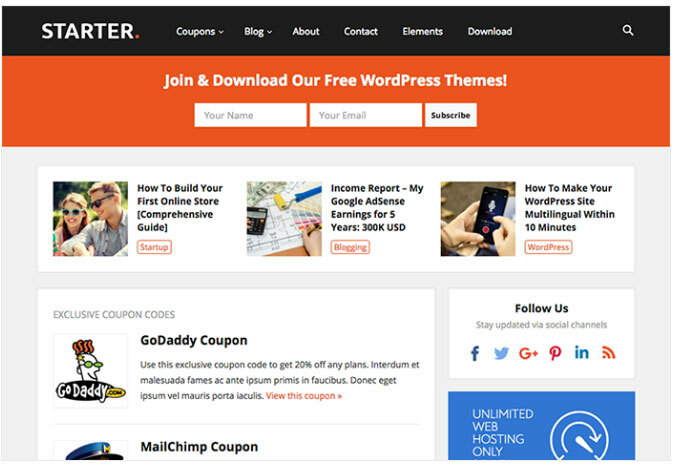 This theme has built with coupon/deals functionalities. MakeMoney is an ultra SEO optimize and mobile friendly full responsive theme which supports all kinds of devices like (desktop, tablets, and smartphones). The starter is another fast loading & lasted SEO compatible WordPress theme. It has fantastic coupons/deals feature for pro blogger and affiliate marketer who would like to make money from affiliate program and pro blog. 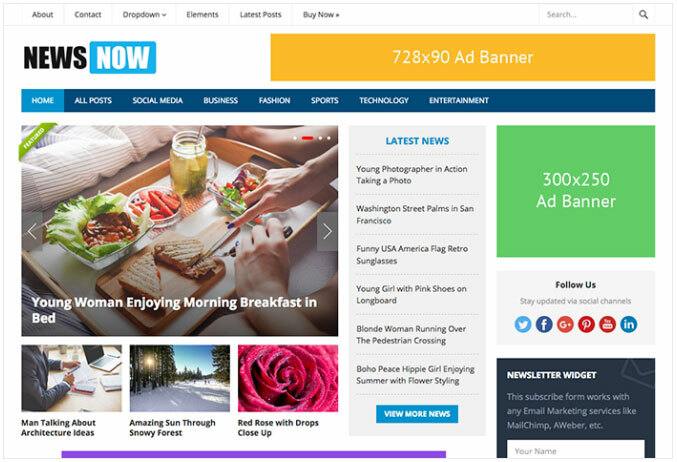 NewsNow is a responsive mobile friendly and fast loading WordPress theme that lets you create post easily without much time. 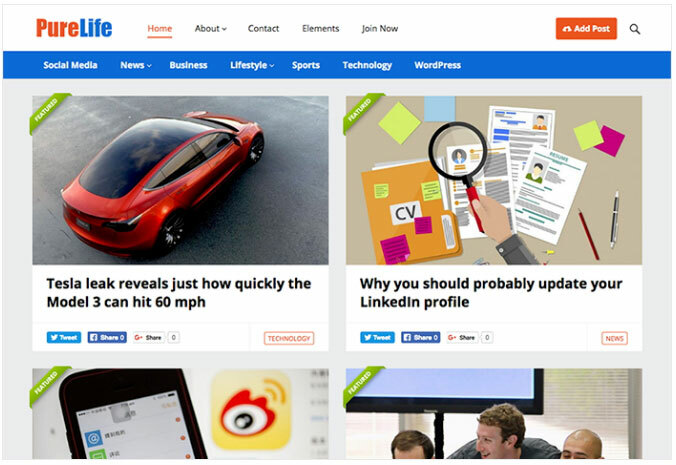 This theme is only for a news, newspaper, magazine, publishing or review site. Also, NewsNow supports responsive AdSense ads. PureLife is an elegant style premium WordPress theme for blog and magazine websites. You can also use it in any niche sites there is no limitation. Especially PureLife has optimized for Advertisement/Adsense. It has many stunning features. FastVideo is a fully customizable homepage ready & responsive premium theme for video websites. 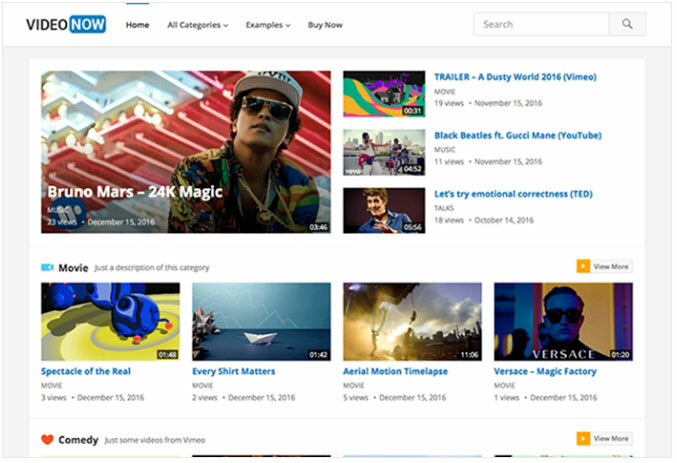 It is a powerful video theme for video bloggers who would like to upload or share their own or YouTube videos. FastVideo has an auto video thumbnails feature that will help you to generate featured video thumbholes automatically. 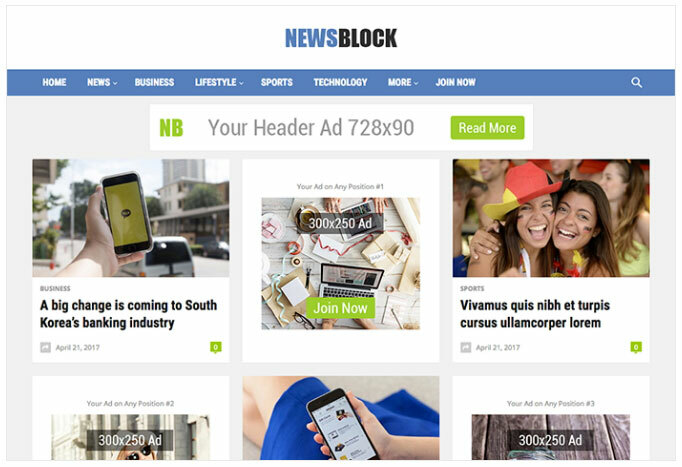 NewsBlock is another SEO optimize & fast loading fresh premium WordPress theme for magazine and websites. VideoNow is another ultra-responsive mobile-friendly video theme like FastVideo. 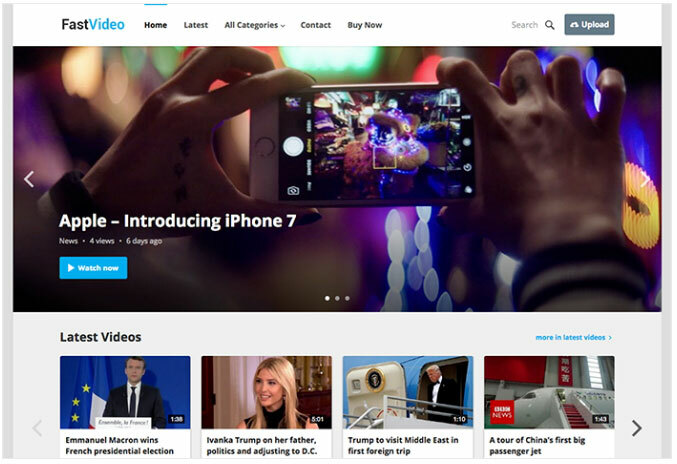 But this theme is different than FastVideo because it has an excellent news style layout and homepage that perfect for newspaper style video websites. VideoNow homepage is also like the YouTube homepage. This theme has responsive ad places that suitable for Adsense or any kinds of ad networks. 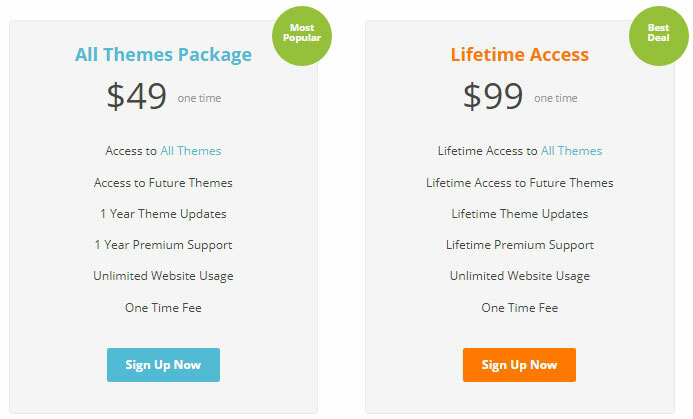 Currently, HappyThemes has two pricing options. But both packages have been included all WordPress themes. All Themes Package is for 1-year update & price only $49(one time) and another is Lifetime Access for all themes price only $99(one time). For details, see the screenshots below. Comparing other companies’ theme, HappyThemes are giving a relatively good product with low price. When We are writing this article about HappyThemes Review, pricing of HappyThemes is the only reason, and we try to provide the information to our visitor. For a free portfolio website, you can choose the number #1, #3 and #4 themes from the list. All the themes got a free version, so you can test them before buying the pro version. They got a very decent review on Woocommerce WordPress Theme functionality. HappyTheme has an excellent Theme Support Forum. HappyThemes’s expert developer is always ready for answering your questions answer. You will get the response within 1-2 hours. The best side of happy teams are all the teams are readily integrated with Woocommerce. If you are planning for a website which got both blogging and product selling functionality, you should select this kind of theme from Happy Themes. There is no doubt about HappyThemes. All themes have been created with good codes by expert WordPress theme and plugin developers. All themes are fully responsive, mobile friendly, SEO optimized, fast loading and Adsense ready. If you have any further information to add about HappyThemes Review, feel free to add that in the comment section. One of the notable things is that HappyThemes’s theme is low priced than other premium themes stores. So if you would like to purchase a premium theme for your blog, you can buy from this store. I think it will be your best investment.